The History Library services over 3000 people a year from all over the country looking for information on family history, historical documents, business and organization history from the Miami County area. 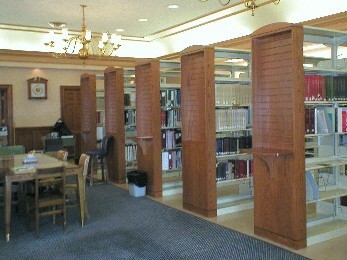 The research Library features books, maps, manuscripts, wills, land records, etc. An extensive microfilm/fiche catalog includes county marriage records, census, birth, death, and many other records. There is also a very extensive collection of donated family histories. 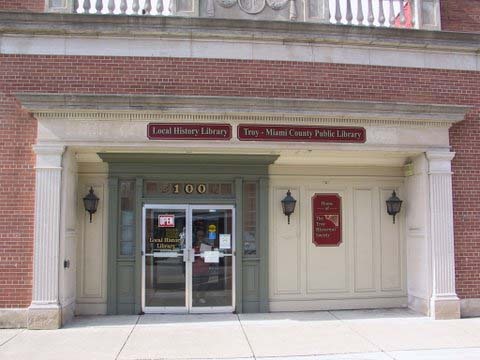 The Local History Room, also known as The Troy Historical and Genealogical Library, has been in existence since the 1960s, and is a collaboration between the Troy-Miami County Public Library and the Troy Historical Society. Copyright � 2008 by Computerized Heritage Association, a subsidiary of The Troy Historical Society of Ohio.